What is Amazon's Mechanical Turk Program and How it Works? 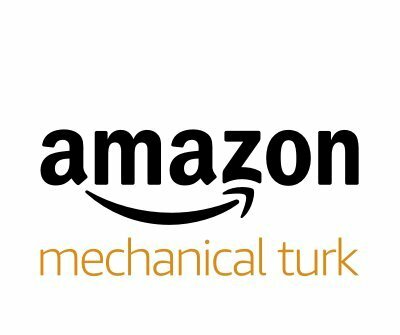 What is Amazon’s Mechanical Turk Program and How it Works? Working online is something that some of you probably dream to do, but still, most people find it difficult to encounter opportunities which are legit and able to generate real income online. The process is, in particular, difficult to newbies, so today we will discuss something that anyone could do online. In the era of computerized activities, the program developed by Amazon tries to provide an on-demand, scalable, human workforce that can complete jobs better and hopefully faster than any computer. Amazon is already the biggest online marketplace in the world and one of the best advertising platforms for e-commerce. With the Mechanical Turk software and marketplace, it is easier to formalize job offers for the thousands of people who are willing to do pieces of work from the comfort of their homes, only with a computer and internet access. Tasks like writing reviews for movies, translating texts into a foreign language, finding objects in photos, researching the most relevant search results for particular phrases, and many others, are among the most popular with the Amazon Mechanical Turk program. The platform provides access to a virtual community of workers, similar to how marketing platforms like Clicksdealer.com give access to people wanting to work in the advertising business. According to the Amazon Mechanical Turk jargon, The term “HIT” stands for Human Intelligence Task, and it represents a task submitted by a requester (a company or an organization) to the software for workers to perform. It is a single, self-contained task, like writing a review for a restaurant, which has a particular lifetime (set by the requester, meaning how long the HIT will be available for workers), and an assignment duration (the amount of time available for the worker in order to complete the task). Of course, if the task will be completed according to the requirements provided by the requester, the worker will receive a particular sum of money (note that the pay-for-task work varies greatly, and workers pay Amazon 20 percent of the requester’s listed fee). Update HIT proprieties – title, reward, description, keywords, and others are all details which can be updated at any time by the requester. Overall, the Amazon Mechanical Turk program creates an environment where companies and workers willing to work online can meet and benefit from each other.